I don't know that it's necessary to have a good cry during a film to feel a cathartic release when it's over. There's nothing like the feeling that you've been through something. Now today there are a lot of movies that try to create the illusion of an experience with loud noise, fast movement and strident soundtracks. These films (and film-makers) try to substitute a sympathetic adrenaline rush instead of the experiences of sympathetic human emotions. What is it, who is it, that lacks the empathy to take a trip with a character? In amongst all the recommendations and studies on writing, one thing stands out. A story should be about the most important thing that ever happened to the character(s). This is something that is hard to do in episodic television or filmic franchises. They rely on characters staying pretty much the same. So what about the night life? It's that moment you have walking out of the lit cinema lobby into the night street. A sudden awareness that you've been through something, and now you're back in the real world. The best movies take you away from the real world for a while. When I saw the film 50/50 about the fight for life of a cancer patient, it was a story of treatment and friendship, but from a distance. The roller coaster was all on the screen, it didn't hit the audience where it lived. 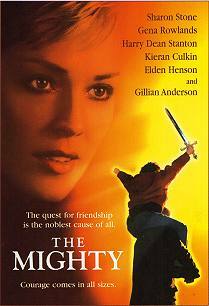 By contast the film The Mighty, is also about friendship and dying, and yet it has a moment of sudden, unexpected compassion that still brings tears to my eyes. Feel-good films can take us on a trip to cleanse us of the strains of everyday life for a while. Star Wars IV, while simple, is charming. It has fight scenes and love scenes and a happy ending that is not high art, but which leave the audience with a glow. Star Wars I leaves the audience feeling that they've been playing a computer game for too long. 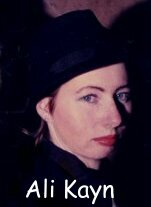 Stories about contemporary life that have moving endings are often put down as 'chick flicks', although my readers know I think True Lies and Total Recall and other films with women with guns are 'chick flicks'. Those are two films that prove that action films can have characters who go through life-changing experiences that entail their emotional and intellectual responses to the situations, not just the firing of big guns. RED is an example of a film with really big guns where the characters change their lives through their thoughts, feelings as well as their deeds. And those life-changing deeds are about taking your place, not just taking up your gun. It's about the human spirit. The triumph of the human spirit, whether the ending is happy or sad. Love Actually is the triumph of love and relationships in the face of everyday life. Which brings me to fantasy films and the Lord of the Rings/Hobbit franchise. No-one can deny that generations have found escape and even meaning in this predominantly boys-own series. There is no reason why hobbits and dwarves and elves can't be human avatars who demonstrate human characteristics. But they aren't. They sing songs and indulge in a bit of clowing about, and fight (a lot) but the classic cathartic qualities of the great quest stories is lacking in these long-drawn-out hymns to (excellent) special effects. They are so filled with majestic landscapes and sweeping music that any tales of personal travail and triumph are lost.